The spacious and well-presented home comprises of an entrance hall with both bedrooms located at the front of the property; bedroom 1 (double, to the left) and bedroom 2 (single, to the right). Further in the hall, there is a three-piece family bathroom with bath/shower, a storage cupboard and a fitted kitchen. The kitchen to be fully fitted with a range of built-in cabinets incorporating a range of domestic appliances. Towards the end of the hallway, a living room/diner is located with rear door entry to the private garden. 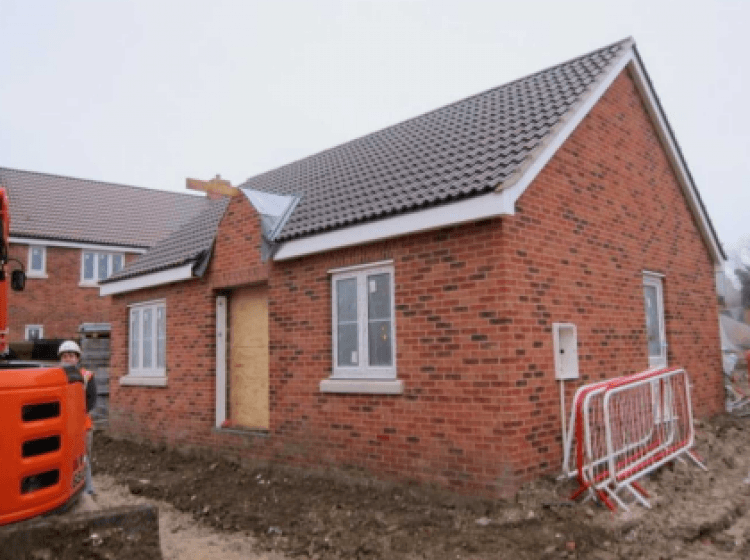 The properties do not have a gas supply, the bungalows are set to have wet underfloor heating systems supplied from electric air source heat pumps. Two new two bedroomed bungalows in Great Abington, available March/April 2018. Marketing name is 'Moorfield' please quote this name when enquiring. The Moorfield development consists of 20 new homes across the new build development. These properties are perfectly suited to somebody looking to downsize, with the quiet local area, the village comprises of a local shop and primary school, full facilities are available in the surrounding areas. By road; easy access to the A1307, A11 and M11 providing quick links to Cambridge and surrounding areas.